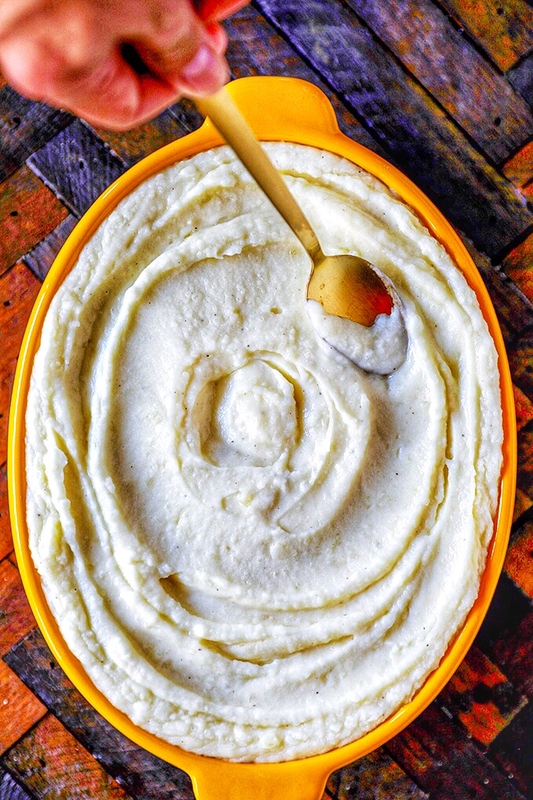 These epic Garlic Mashed Potatoes are buttery and delicious and the perfect wow factor for the holiday table or special dinner. Start by steeping whole, smashed garlic cloves in a hot butter, cream and milk mixture. This will ensure that that garlic flavor will be infused throughout the dish. Then cook the potatoes in salted water so every layer is as flavored as possible. Finally, brown the butter topped potatoes under the broiler to add another layer of flavor and texture. 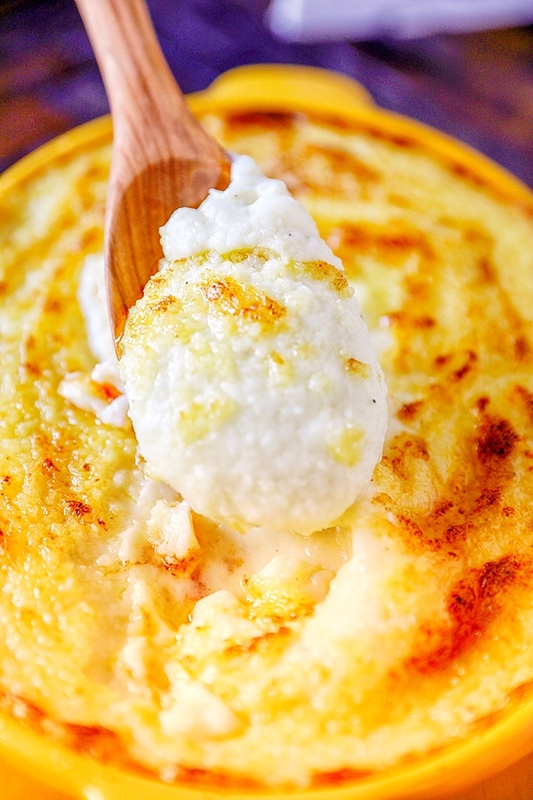 These garlic mashed potatoes are rich, creamy, decadent and a must-try for potato lovers! 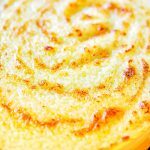 Once the potatoes have been mashed and mixed with the butter and cream mixture, use a spoon to create a spiral swirl on top of the potatoes. Play around with it. The deeper the swirls and the longer the potatoes stay under the broiler, the more pronounced the design will be. These mashed potatoes are ultra rich and creamy. If you want them a little fluffier, try decreasing the heavy cream. The toasted buttery crust on top is my favorite part of these potatoes. Keep an eye on them under the broiler so they don’t go too far. I used a baking dish that was oven safe up to 450 degrees. Do not use a Pyrex or glass baking dish for this recipe as those are not broiler safe. In a medium saucepan, heat cream, milk, two sticks of butter and garlic together to a slight simmer. Remove from heat and let garlic flavor the liquid. Discard whole pieces of garlic after 15 minutes. While garlic is steeping, add diced potatoes to a large pot and cover with water. Bring to a boil add 1 tablespoon of kosher salt, then let simmer over medium heat until potatoes are fork tender, 15-20 minutes. Drain potatoes well. 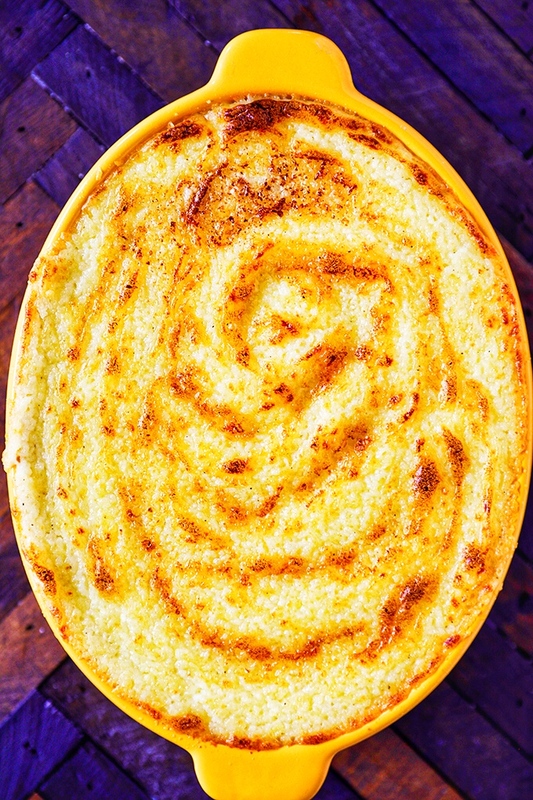 Use a potato masher to mash potatoes until smooth, then stir in butter and cream mixture. Season with additional kosher salt and freshly ground black pepper to taste. Transfer hot potatoes to oven safe baking dish. 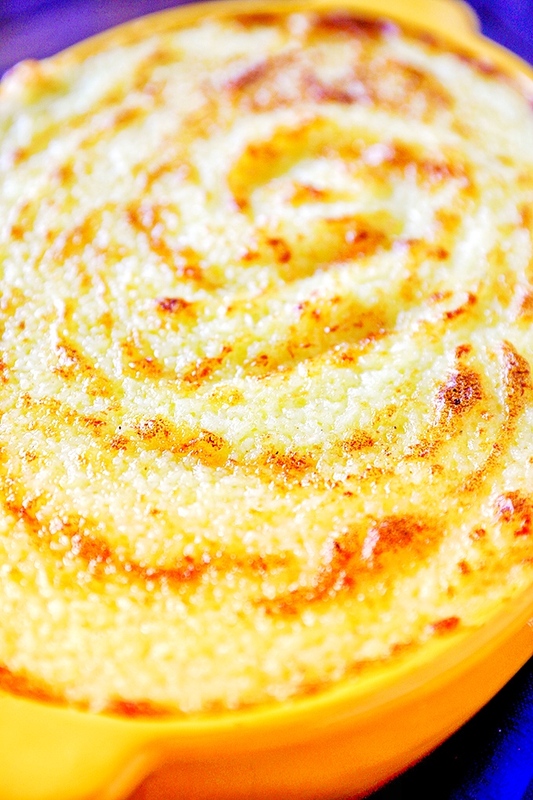 Use a spoon to swirl mashed potatoes, then brush with additional melted butter and place under broiler for 5 minutes or until well browned. Watch potatoes closely. To make ahead, refrigerate potatoes for for up to 2 days after swirling, then heat in microwave until hot. Proceed to brush with melted butter and broil.